As if being arrested for DUI was not bad enough, you learn that the authorities are charging you with an extreme or aggravated DUI. The stakes just got raised astronomically, because you’re now accused of a felony for which you could do serious prison time. Your hope for a positive outcome depends on the facts of your case, but also on the quality of criminal defense representation you receive. 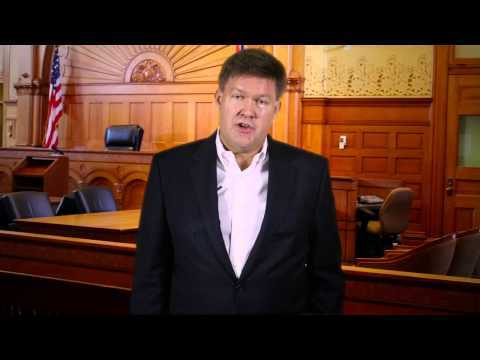 With the Law Office of Phil Hineman, P.C., you get experienced defense counsel from a former prosecuting attorney. We know how to fight against prosecutorial tactics. If you’ve been overcharged, we’ll effectively assert your rights. We’ll force the authorities to prove every element of their case beyond a reasonable doubt, and we’ll work to achieve the best results possible. What is an aggravated DUI in Arizona and what are the penalties? Class 6 felony — The maximum is two years in prison and a fine of $150,000 plus an 83 percent surcharge. The mandatory minimum is six months in prison, fines, surcharges, 12 months of required counseling, 12 months of ignition interlock and a license revocation with possible eligibility for a restricted license. Class 4 felony — The maximum is 3.75 years in prison and a fine of $150,000 plus an 83 percent surcharge. The mandatory minimum sentence is four months in jail, with fines and surcharges amounting to several thousand dollars, counseling, ignition interlock for 24 months and a three-year license revocation. The penalties listed above are for drivers without prior felony convictions. Maximum incarceration times increase drastically if you have had one or more prior felony convictions. What is an extreme DUI in Arizona law and what are the penalties? First offense extreme DUI — The minimum is 30 days in jail and a fine of $2,500; completion of an alcohol and drug screening, treatment, and an education program; ignition interlock requirement for every vehicle you drive; and community service. Second and subsequent offense extreme DUI — The minimum is 120 days in jail and a fine of $3,250; driver license revocation of 12 months; completion of an alcohol and drug screening, treatment, and an education program; ignition interlock requirement for every vehicle you drive; and community service. Arizona law also allows for super extreme DUI to be charged when BAC is 0.20 percent or higher. As you can see, the penalties for an extreme or aggravated DUI conviction are severe. If you’ve been arrested on either of these charges, a skilled and determined criminal defense lawyer can give you a fighting chance. Prosecutors often overcharge cases when they don’t have sufficient proof to make the charges stick, and faulty or unlawful police procedures can weaken a case as well. Put our experience on your side and improve your chances of a positive outcome. Call the Law Office of Phil Hineman, P.C. today at 928-257-1155 or contact us online to discuss your DUI case with an experienced lawyer serving Yuma and the surrounding parts of Arizona. We handle all types of DUI charges, including extreme and aggravate offenses, and ensure that your rights are thoroughly protected.